Master Bond MB600S is an aqueous based sodium silicate formulated for coating applications where electromagnetic interference/radio frequency interference (EMI/RFI) shielding is required. The energy emitted from various sources, including radios and appliances, can interfere with other electronic devices. 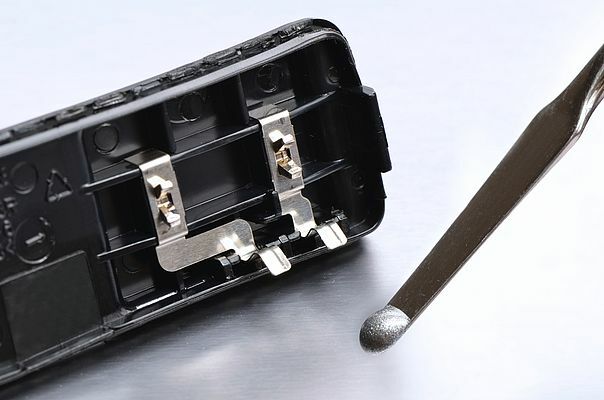 Conductive coatings are often applied to the housings in order to protect the devices from these types of interferences. This silver gray colored system is used in a variety of aerospace and electronic applications. Tested according to IEEE 299, 2006 methods, MB600S was as effective as the aluminum reference with a range of 95-105 dB, from 100 MHz to 2 GHz. Above 2 GHz, the shielding effectiveness of MB600S decreased to 80 dB and slightly below. Above 4 GHz, the effectiveness was 60-70 dB. As the system is water based, it is relatively non-toxic and easy to handle. It can be brushed or sprayed with the proper equipment. If sprayed, the shielding effectiveness would be even greater than the values given above. MB600S will cure at room temperature in 24-48 hours or in 1-2 hours at 80°C.